Summer’s end brings with it a mountain of conflicting emotions. On the one hand, there’s a feeling of great relief as the lazy, unscheduled days of summer break come to a close and structure finds its way back into the home. On the other hand, with that structure comes the busyness that often makes us feel a bit like we’re drowning. Either way, there’s always a transition that happens when the school year begins. Even when children go back to the same school they attended the year before, they must get used to new teachers, new classmates, new personalities, more homework and expectations, and the list goes on and on. Our family is in the midst of a massive transition. After three years of homeschooling, all four of my children are now back in full time public school – four different schools to be exact. I now have one in high school, middle school, elementary school, and preschool. Or maybe just because I’m a little bit crazy. In any case, this year’s transition required a great deal of preparation, quite a bit of hand holding, and the perfect balance of prodding and cheering as my kids stepped forward into new environments. 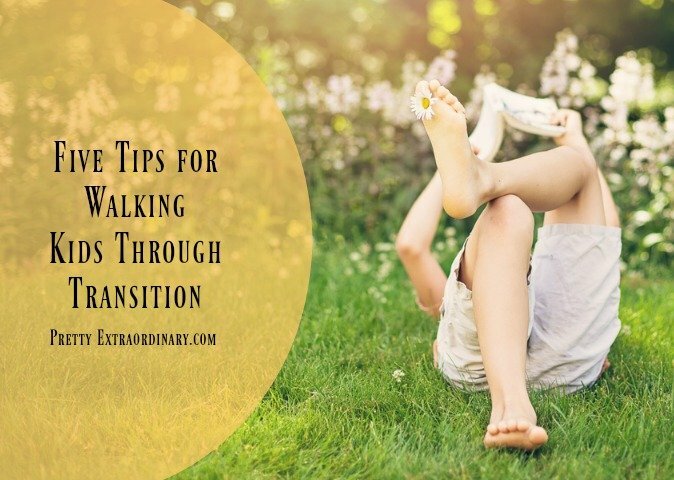 Here are five tips for walking kids joyfully through a new transition. I was nervous about this transition myself. I felt a particular concern for my daughter entering seventh grade. In case you haven’t noticed, middle schoolers can be…well…mean. She hadn’t ever really been in an environment where she had to figure out social hierarchy, or navigate female relationships. 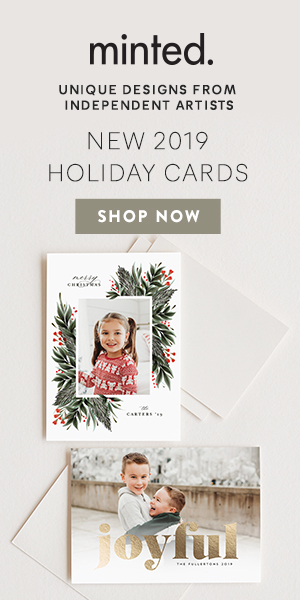 Her friendships up until this point had come from her former gymnastics team, where they were all working toward a similar goal, or church, where they all had similar mindsets about the world. Despite these worries, however, I decided early on that I would be nothing but positive as she moved forward. She was excited about the transition. She was ready to be back in an environment that was challenging and crowded. I didn’t want to pass on my nerves to her, because it would do no good for both of us to be nervous! So I smiled and told her how awesome it would be, and how much fun she would have, then I went to the bathroom and prayed that it would actually be those things and wouldn’t be miserable. It’s easy to pass our fears on to our kids, especially in new situations. The key to a healthy transition is to make sure the kids think that you are confident about it. Clear that hurdle, and you’ll be ahead of the game. We are one week into the school year, and two of my kids are already sick. We haven’t had anything more than a minor cold in three years, and now we’re running fevers and coughing like chain smokers. I should have been pumping them full of vitamins for weeks ahead of time, preparing their immune systems for this change. That is my fault. Transition can cause stress on little bodies, so do your best to keep them healthy by providing good food, vitamins, and requiring lots of rest until they adjust to new schedules. Maybe there are aspects of an upcoming change that you don’t like, or that will be difficult. Maybe a certain transition will be more complicated than simply starting at a new school. Whatever the case, the power of positive thinking is a real thing and worth pursuing. No matter what transition looms before you and your children, purpose to speak as positively as you can about the upcoming changes while not ignoring the difficult path ahead. This will go a long way to alleviating fears and uncertainty as they navigate their way forward. It’s amazing the power a simple smile wields. When your children are nervous, unsure, or facing something new and scary, just give them a smile. Let them know without saying a word that you are on their team. Smiling is a free, natural mood booster, and a perfect accompaniment to transition. It won’t always be hard or scary. It will get easier, so give yourself some space to adjust and try not to force the transition to be perfect. Do your best, smile a lot, give high fives and hugs, and look forward to the day when it doesn’t feel so hard. How do you handle transition with kids? What would you add to this list? These are all such great tips, everyone needs to do these things for sure. Sometimes it can be hard but they are so important! Yes, I agree! These are great tips. We made the transition from homeschooling family to public school family a couple of years ago. I miss homeschooling but our public school experience has been wonderful this far and we have enjoyed the teachers. If we ever decide to homeschool again, I want my kids to feel open-minded towards it. There are always some nerves when starting something new. I am learning more about how each of my children handle this in different ways. Things that I find exciting and fun or things I enjoyed about school are some of the very things, my children are anxious about. It is definitely a learning experience for me in the parenting department. There is so much benefit in encouraging positive thinking and being mindful of how you frame things when helping children through transitional times. I am making some “transitions” in my own life now and am utilizing some of these tips as I make positive changes in my own life.